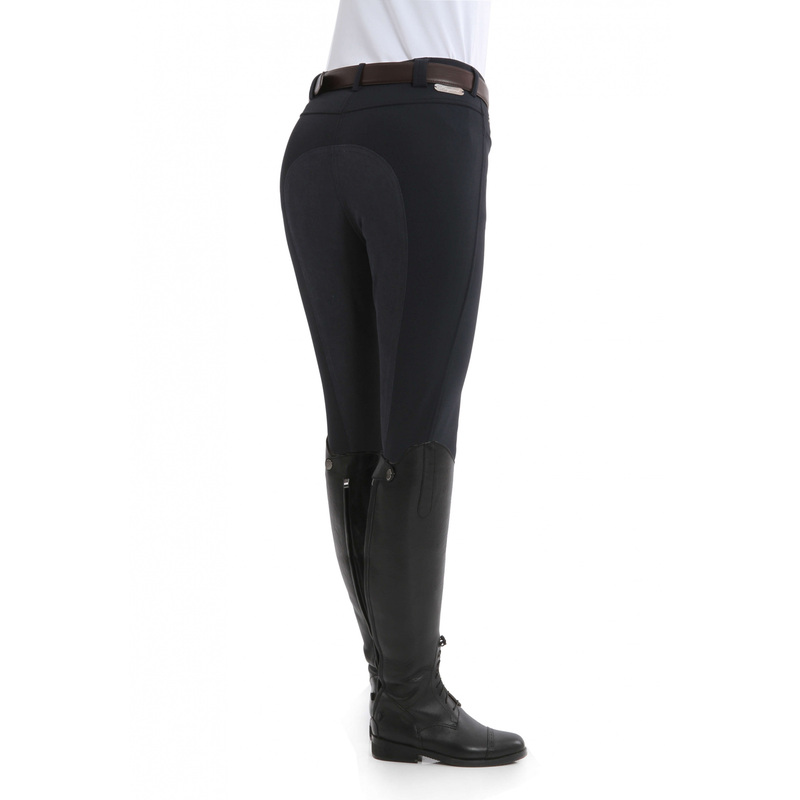 Breeches with leather full seat, made of stretch. Calf part made of lycra. The edges of the pockets finished with tiny crystals. 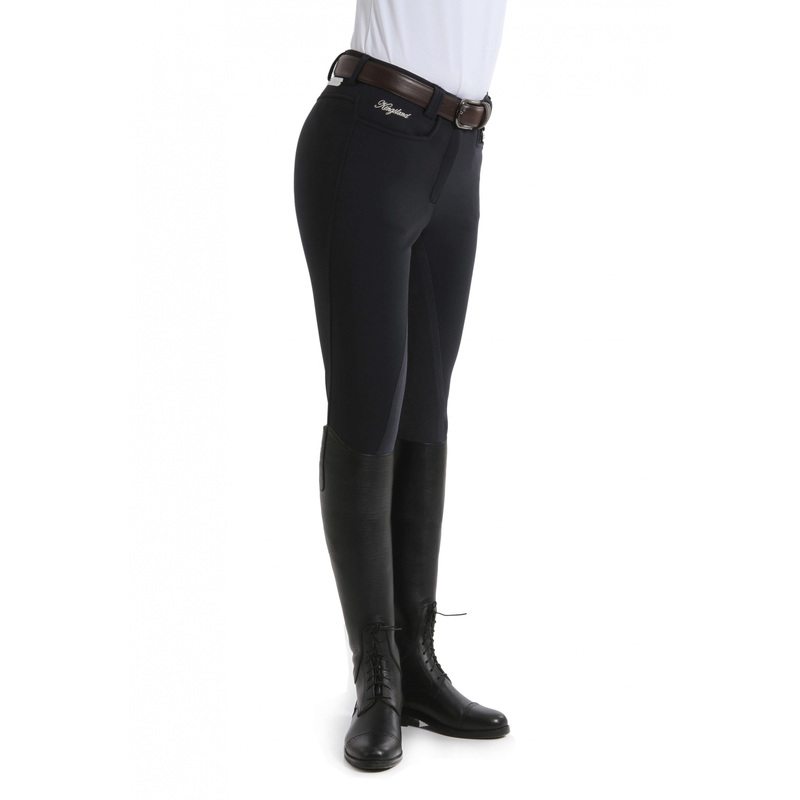 In the upper part of the back is a small metal KINGSLAND Dressage logo, and in the front elegant KINGSLAND embroidery.